If you’re interested in a specific group or species, or if you’re trying to find something you saw before, this index is a good starting point. In the first column the birds are organised in families, following the order of the IOC list (version 5.1; see worldbirdnames.org). This order differs somewhat from the traditional order as represented in most field guides, but it is a far better representation of the true evolutionary relationships of birds. In just one example, falcons (Falconidae) are no longer with other raptors (Accipitridae), but are instead placed nearer to the more closely related parrots (Psittacidae). 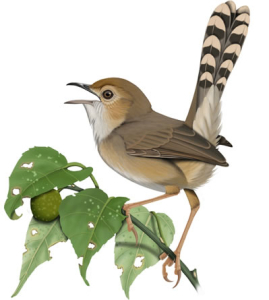 The historical warbler (Sylviidae) and babbler (Timaliidae) families are also split. If you get confused, hit Ctrl-F to search for a word, or use the middle column in which the birds are organised alphabetically, by the group name. The last column has more general topics, including biology, taxonomy and just birding-related articles. Note that this index page is just for the birds (so to speak). For other biodiversity, go here.